Discover our beautiful new diamond experience for our clients at our Melbourne and Adelaide boutiques. Explore our diamond boutiques with ease - sit down, relax and discover our extensive selection of gemstones at your own pace. Indulge in our luxurious diamonds over a glass of champagne and try on the variety available in store. With unique designs from the Echunga Collection, or the iconic Eagle Ring and extensive engagement ring gallery, you’ll find what you’re after (and have fun while doing so!!). Our diamond consultants are professionally trained and work with you to find the perfect diamond engagement ring. With years of experience, you’re in safe hands. The best part is with diamonds of all shapes and sizes, there is no need to purchase sight unseen or wait weeks for diamonds to be ordered in for you. Select your ring in store that day, with a range of unique designs, gemstones, colours and metals, you’ll find exactly what you’re after. If you have a bespoke creation in mind, work one-on-one with our Design Director, Nazanin. Exclusive to our Adelaide boutiques, Nazanin can create the ring you have in mind, or work with you to restore a family heirloom. 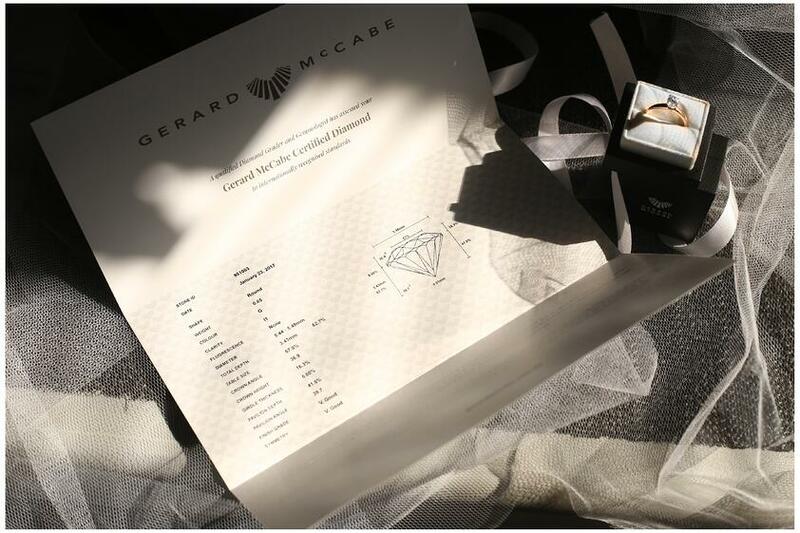 When you’ve found the dream ring, it’s reassuring to know that your diamond is marked with a unique Gerard McCabe identifying number, matching its Gerard McCabe certification. This certificate states its birth weight and finished weight. Independent certification is available on some diamonds and can include GIA and Canada Mark certification. This number is associated with you and ensures your diamond can be matched back to you if lost or stolen. 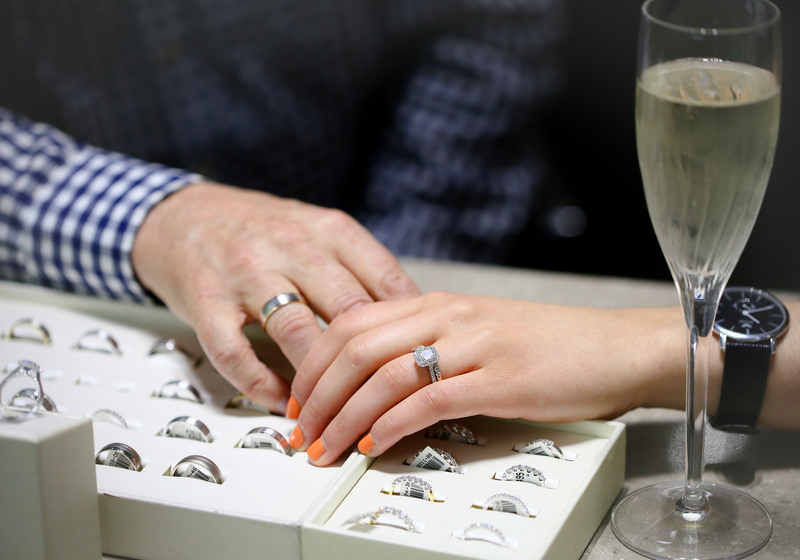 We believe a diamond’s beauty should never be marred by its history. As such, we only use ethically sourced diamonds. We work directly with the Site Holder and follow the guidelines of the Kimberley Process in the selection of our diamonds. We ensure that our diamonds are from conflict-free mines of Canada, Russia and Africa. If you’re purchasing a diamond engagement ring, each ring comes with its perfect partner wedding band. All are designed with wedding and anniversary options, making it easy to add to your bridal set down the line. Making gift giving for future birthdays anniversaries easy. What makes us unique is the after-sales service that extends beyond purchase. With a lifetime manufacturing warranty, you’re set. Our twelve-month care plan offers complimentary jewellery cleans and health checks, allowing you to keep your diamond jewellery in top condition. 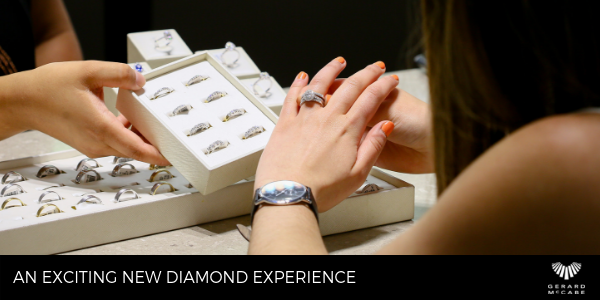 With boutiques in Adelaide Arcade, Rundle Mall and Little Collins Street this new diamond experience will be a breath of fresh air for those looking for the perfect diamond engagement ring or jewellery.